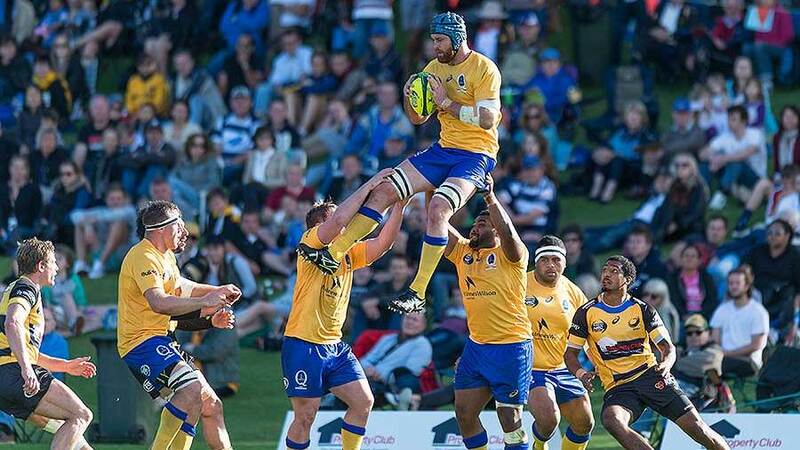 James Horwill rammed home his claims for a Wallabies recall with a powerful 40-minute audition for Brisbane City against Perth Spirit in the National Rugby Championship on Sunday. The former Wallabies captain has battled hamstring injuries over the past two years, and he had not played for six weeks having been overlooked for the opening two Bledisloe Cup Tests, proved he was no back number and must now be under some consideration for Ewen McKenzie's team to face South Africa in the Rugby Championship in Perth on Saturday. Horwill made several trademark damaging runs through the centre of the park and said he was desperate to win back his place in the national team. "I'd obviously love to play, so we'll have to wait and see what the selection is but I'm raring to go and I'd love to get the opportunity," Horwill said before he linked with the Wallabies squad. "We were umming and ahhing [about playing for City], but I'm glad I had the hit-out to get the running back in the legs." McKenzie said during the week that he was eager to use the National Rugby Championship to see players get game-time, and Horwill said his cameo was valuable. "You can do as much training as you want but it's tough to replicate the things that happen in the game, especially the scrummaging and the mauling, it takes a bit out of your legs," the 51-Test veteran said. "In the NRC everyone wants to throw it around and wants to play with the ball in hand. They throw caution to the wind, which makes it more time with the ball in play. As a result there was a fair bit of running." Kyle Godwin, who was called up to the Wallabies' 30-man squad for the first time last week, returned from a knee injury to play a full game for the Spirit. The Perth-raised centre will link up with the Test squad on Monday morning ahead of what could be a dream debut in front of his home crowd. "It would be great but we'll wait and see," Godwin said. "I need to put my best foot forward and try to learn as much as I can off the players there."